Summertime means lots of days in bikinis and swimsuits by the pool or beach. I always try to stay bikini ready all summer, but when going on vacation knowing I will be without my regular fitness rutine and in a bikini all day, it’s time to really get it together. When I want to look my best in a swimsuit I have a few tricks I follow that totally help. These 5 things are what I do a week before a beach vacation to feel and look my best. NEVER Skip Breakfast. It will only slow your metabolism. Last summer I was making fresh pressed juice every morning with fruits and vegetables and protein powder. This summer I haven’t really been doing that. Now I drink a healthy drink called Estrogenomics from Poliquin and I ad some L-Glutamine. It is a blend of pea protein concentrate, pea protein isolate, glycine, taurine, rice protein concentrate, and L-glutamine, dried cane syrup, fiber complex, oat fiber, cocoa powder, sunflower oil, bioactive immunoglobulin, plant enzyme and broccoli seed extract, I didn’t even mention all the ingredient’s because I don’t know what half of them do.. haha 😉 But I know it’s good for you – and my body feels good when I drink it. I always ad extra L-glutamine to my shake – you can order it HERE 😉 and HERE – This drink will give you a boost of vital minerals and vitamins you need for an overall good health and strong gut, your immunity will become stronger and you won’t get sick very often. L-glutamine promotes good recovery after a gym session and lots of other stuff. After my shake I will eat a banan and then go for my fasted cardio rutine, which means my little morning run without a real breakfast. I will burn pure fat IF I keep my pace at a jogging level, if you start sprinting you will start burning muscles because you didn’t eat a solid breakfast, so I wouldn’t recommend that. After my 20-25 min run it is time for a real breakfast – I eat 3- 4 eggs and cook it in different ways with vegs, rice or what ever I have in my fridge – Before a vacation I will probably skib the rice to become more lean. 5. Eat as clean as possible, especially when it comes to snacks. I will swap my beloved crisps for nuts or fruits instead! Super boring yes, but it is only 1 week before your vacca. 6. Kick up your water intake big time and drink lots of green teas. It really is the ekstra step that makes my tummy look flatter. Do You Want To Get Serious About Fitness? You don’t need a gym. This article is addressed to the people who struggle, who don’t go as much as they think they should, who aren’t as fit as they’d like. 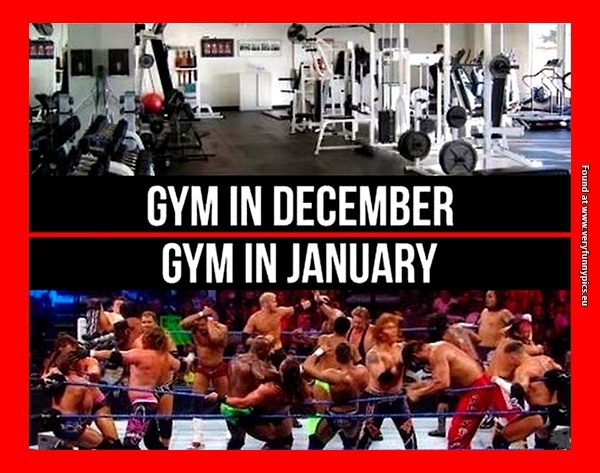 Some people go to the gym all the time. Good for them. This article is addressed to the people who struggle, who don’t go as much as they think they should, who aren’t as fit as they’d like. Going to the gym is hard. You have to pack a gym bag. You have to go there. You have to change when you get there. You have to change and get home. All that and you’re paying every month for a membership. The thing is, you don’t need a gym to get in good shape. There’s a reason you hear so much about interval training. Short, intense periods of exercise are highly effective in boosting health, possibly more effective than long sessions of exercise. All you really need to get in shape is a short, well-designed workout routine. The most famous is the 7-minute workout routine All you do is 30 seconds of each of these exercises, with 10-second breaks: Jumping jacks; wall sits; push-ups; crunches; step-up (on chair); squats; triceps dips (on chair); planks; high knees / running in place; lunges; push-ups and rotations; side planks. If you aren’t sure how the different exercises are carried out, don’t worry they are very simple movements. Go on youtube and write the exercise you are in doubt about – a 100 video’s will appear and show you the correct movement. Not feeling that? The four-minute Tabata workout and a 12-minute workout, that alternates high-effort bursts with easy jogs have also been shown to be extremely effective. There are others popping up every day. Creative types might even invent their own. Simply running for five-to-ten minutes every day has been shown to give a major boost to your health. If running isn’t your style, five minutes of jumping rope, vigorously riding a bike, or really any activity that causes you to break a sweat will make a difference. Me? I live near the beach. Why on earth would I run in a gym basement on a treadmill when I can run on the beach? 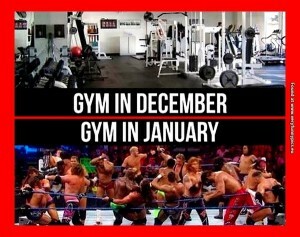 Because I am one of the gym fanatic’s we hate. haha..;) I use the treadmill before I work out with weights in the gym, but that doesn’t mean you have to do it, there are endless alternatives, you don’t have to run inside on a boring treadmill. Other ways I’ll look to get exercise include self-guided stretching, I am a HUGE fan of Yoga – I always end my workouts with some good long yoga stretches, riding a bike, taking the stairs when possible, signing up for the office sports team, and kicking a soccer ball in the park. When I am a good girl, I join one yoga class a week, it is conditioner for my body soul and mind. I’m also looking forward to doing more with a kettle bell, I used it a lot when I took the PT education in London. My teachers in london were Kettle bell fans. Not having a gym membership has other advantages. It gives you the flexibility to take the occasional class wherever you want. Try that boxing studio near work, make Saturday a yoga day, take a dance class. I can imagine It’s easier when you don’t have gym guilt holding you back. Another great tip is to force yourself to get a bigger interest in health and fitness, by reading some basic facts you will get more motivation and curiosity, and try out some workout routines and healthy foods. Im not a morning person. I would sleep in until 11 a.m. every day. Born out of frustration with myself for sometimes skipping the gym and going for a run, because it’s quicker and easier. I decided I’d go to the gym in the morning so I’d have no more excuses. Turns out, very. Here are six things to try if you want to go to the gym in the morning. Packing away my gym outfit forces me to take the extra step of removing it from my gym bag if I don’t make it to the gym. It’s a small step that’s just annoying enough to incentivize me to just throw on my workout gear and head to the gym. Plus, if you already know what you’re going to wear the next day, it will save you time rummaging through your closet. I’m convinced sleeping in and snoozing your alarm is one of life’s greatest pleasures. Because I know that it takes me about two tries before I actually get out of bed, I set my alarm even earlier than I need to so I still feel like I’m sleeping in. If I can skip the morning rush, I’m happy. Though I realize that it’s not technically sleeping in if you’re still waking up at the right time, I find I can lie to myself more easily when I’m drowsy in the morning and feel like I’m still getting some extra shut eye. The gym I go to is a few blocks away from my home. It makes it very easy for me to reach it, I can walk or run there. Whenever I’m feeling really unmotivated, I think about the feeling I have after I went to the gym. I feel AMAZING!! As soon as I wake up, the first thing I do is DRINKING as much water as I can. Not only has it been shown to have a lot of great health benefits, like jumpstarting your metabolism, but it also energizes me almost as much as cup of coffee in the morning. Plus if you’re going to go work out, you should be hydrated. I eat eggs and some fruit maybe rice if i am doing weights, so I am sure I have enough energy. if I am doing cardio only, I eat fruits. While some people wake up starving in the morning, I’m not one of them. Still, I find I workout much more effectively if I have something to eat before going to the gym. Lately, I’ve been grabbing fruits like a banana or an apple before my cardio session, but any sort of fuel will do the trick. The thing I tell myself as I’m dragging my feet out the door every day is that I just have to show up. Simply by touching my feet to the treadmill, I will have been successful. I don’t even have to go for a run if I don’t want to. Once I get to the gym, I realize how easy it would be to start running. I mean, the treadmill is right there. And after a run, I could go shower immediately, but the weights are close by — why not lift for a little bit as long as I’m here? It turns out, showing up really is half the battle in the morning. The coolest video I ever made! ;) A MUST SEE! Sorry for the silence the last 2 days, I am in London at the moment busy working as a model these days!! In most gyms you will get a start program when you sign up, and that is okay, but here is the problem: a beginner program only lasts 14 days! Afterwards you need to progress in your training or it won’t get better. If you keep the beginner program for 2 -3 month I can understand why people stop. They have paid a lot and used a lot of their time, – and they still look the same, no difference 🙁 Why should they keep going? The arguments are hard to find, waste of time and money.. oh no.. Anyway imagine the other scenario. You become a member in you local gym and in 12 weeks you see a huge difference on your body and you feel better as well. Now it makes sense to spend money and time on your body. When you get the taste of being in better shape, you do not want to go back to looking out of shape – and you will not be a quitter like the statistic says. NOBODY REGRETS BEING IN SHAPE, THE ONLY THING THEY REGRET IS NOT STARTING EARLIER!! Rome was not built in one day and your transformation will take time. Therefor give your training a chance minimum 4 weeks. Are you unfit and follow a great program, you will feel a difference after 4 weeks and you will have a idea about what to expect.